Watching games is as big as playing: official! 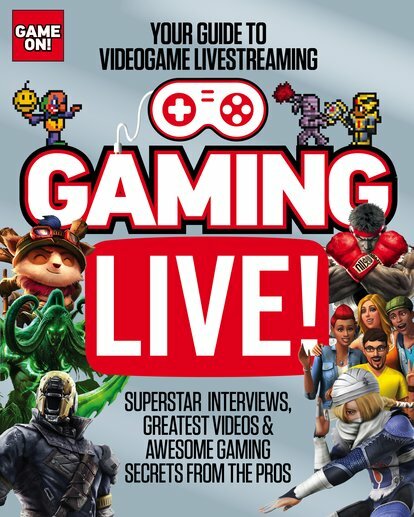 Your ultimate guide to the livestream world: pro secrets, web battles and exclusive interviews from the top Twitch and YouTube stars. With tournaments like Dota 2’s The International commanding a $20 million prize pool (and just as many viewers), gaming is now a fully paid-up spectator sport. So plan your esports viewing year! The top tournaments. The greatest games. The best players. The biggest prizes. All in one book of live gaming delight. Want to watch? Find the hottest games to follow. Want to join in? Know what you’re playing for. NC1270L Lexiles are the global standard in reading assessment. They are unique as they are able to measure a child and a book on the same scale – ensuring the right book gets to the right child at the right time.